It was the final act in the tortuous decline of Omer Hassan Ahmed el Beshir's regime: his transfer from a secure suite in the presidential palace to solitary confinement in Kobar prison. The message from his military successors is clear. They cannot hold back the pressure for sweeping political change, and that will include reform of the judicial system. Tens of thousands of activists were detained, beaten, tortured and killed in Kobar by apparatchiks of the National Congress Party and its security system under Beshir over 30 years. 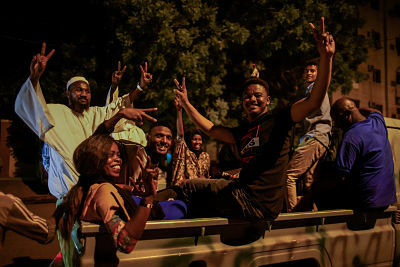 Many activists across Sudan, demanding the Transitional Military Council hand power to a transitional authority run by civilians, see the detention of Beshir as a necessary but not sufficient condition to consolidate the revolution. They welcome the sacking of the director of national prosecutions and his deputy just before Beshir was moved to Kobar. Brokering rivalries between commanders and competing security factions, the new junta is a long way from setting out any political or economic programme, let alone a plan for transitional justice. Yet convincing people that the ancien regime will be held to account for past crimes is key if Lieutenant General Abdel Fattah Abdelrahman Burhan's council is going to negotiate effectively with the activists. Time is running quickly now. In the next round of sackings and detentions, the civilians want the decisions to be taken by their professional appointees, not the generals.